Taken on my iPhone. Waiting at SFO for a flight to Fresno. Yup, another trip to Yosemite. :-). 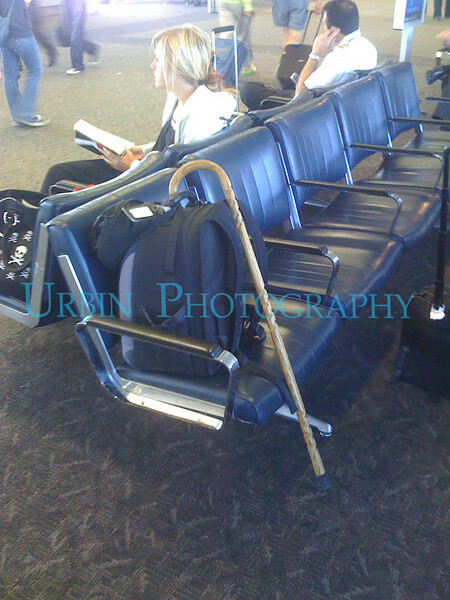 Camera bag, small bag with my Bose headphones, and my trusty Triple Grip cane.